In line with my practice of posting views opposing atheism, I am very happy to have a world renowned expert on Intelligent Design, Iemnaut Amunquay. As I am sure most of you know he is a world renowned Belgian biologist, chemist, philosopher, astrologer, physicist who has focused on Intelligent Design for the past ten plus years. Thank you for taking the time to participate in this interview. Rumor has it that you are coming out with a new book. Is that the case? First I would like to thank the God-jeering ATHEIST for giving me this opportunity. We disagree on many things, but not the free exchange of ideas. And yes, I am indeed coming out with a new book. What can we expect from this book? If you can excuse this expression, is the book “evolutionary” or revolutionary? Obviously I cannot say my book is evolutionary, so it must be revolutionary. In fact, that is the case. I have several breakthrough discoveries that are revealed and discussed at great length in the book. What are some of the areas where breakthroughs have been made? As you know I formed the Revelation Institute in 2003 to advance the development of Intelligent Design theories. The progress has progressed much faster the I initially expected. Our theories now more detailed and supported fully by empirical data. The breakthroughs are so far reaching that I have titled my book Intelligent Design 2.0. Intelligent Design 2.0 sounds interesting, can you tell me more about what is new and how it differs from previous theories. In my book I lay out evidence for several types or levels of intelligent design. Also discussed are the intelligent designers themselves. This discussion in particular sets my work apart from previous ID work. This sounds interesting, can you describe further what you mean by levels? Yes, I would be happy to. Can you imagine “nature” creating a basset from a beagle? It took hundreds of years of careful breading by man to design this dog and other animal breeds. Also, if nature is so good at evolving things, why were plants diseased? Scientist created disease resistant hybrid plants. These development had a low to medium intelligence cause. This level is called Design One. In most Design One cases the intelligent designer is man. I find this very interesting. What is the next level? The second level is Design Two and it verifies that there are medium to high level intelligent causes. Geniuses laboring obscurely before recorded time time developed plant, animal or technological breakthroughs. The well documented Ancient Astronaut theory also fits into this level. Examples include the Pyramids, Stonehenge and many UFOs, etc. Many developments cannot be explained even at Design Two. It is clear that it takes an even higher level of intelligence to design many elements of the cosmos. Even more clearly the design of man requires the highest level of intelligence. Even a monkey could not have evolved from a lower animal. And certainly, with the complexity of man’s brain, man could not have evolved from the monkey. And I don’t know about you, but I did not evolve from a monkey. My new research shows that there is a higher level of intelligent design, Design Three. Design Three explains the cosmos, man and many other complexities of the universe. I am sorry that I must leave now and I can only take one more question. Thank you, Iemnaut Amunquay, for your time. My final question is, can you characterize the Design Three level designer in the same way you did at levels one and two? This designer needed omniscience to design the complex elements of the cosmos and certainly humans, so at Design Three there is a Great Omniscient Designer. For more information you will have to buy my buy my book. The text begins simply enough, tracing the history of Darwin from an impressionable youth influenced by atheists and agnostics on every hand to a full-fledged agnostic in his own right. The matter may be summed up by the inclusion of Darwin’s sentiment regarding the Creator. 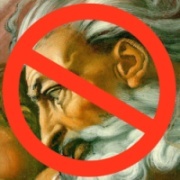 In a bitter denial of Christianity, Darwin complained that he “could hardly see how anyone ought to wish Christianity to be true; for if so, the plain language of the text seems to show that the men who do not believe, and this would include my Father, Brother and almost all my best friends, will be everlastingly punished. And this is a damnable doctrine.” Darwin charged his original belief in God to the “constant inculcation” (instruction or indoctrination) in a belief in God” during his childhood, which was as difficult to cast down as “for a monkey to throw off its instinctive fear and hatred of a snake…. Darwin purposed in his heart that he would no longer retain God in his knowledge. And the scientific illiterate upstart sought to entrap the innocents in the classroom in his web of deceit. The atom has been compared to a miniature sun-earth system with one or more electrons darting about everywhere at once weaving an electronic shell around the nucleus. In order for this to occur, “Bohr calculated that the electron must move at a speed of no less than seven million billion rotations per second.” Ummmm, “numerous electrons darting about, dodging one another at breakneck speeds would necessarily require the supernatural. The Quest for Right will prove to your complete satisfaction that the electron is directly adhered to the perimeter of the nucleus. “How could it have been otherwise?” The exciting text is remarkably easy to follow even for a lay person. The book is a virtual smorgasbord of good things to taste: a few of the entertaining subjects include: the earth was created from a watery nebula, the mechanism of gravity which was used to form the earth, the failed photoelectric effect, theory of antimatter, quantum creation (big bang theory), disappearing color, magical application of mathematics to explain certain rudimentary principles, Rayleigh scattering (sunsets), electricity, lightning, electrolyte, the browning of fruit, the mystery of fire, and the role of oxygen in the ignition of hydrocarbons. Then, there’s the desserts which are far too numerous to mention in this limited space; for example, the origin and demise of the great dinosaurs. Moreover, you will marvel at the comprehensive law of fixed choice. This is not your parent’s science book filled with distortions of the truth, called “quantum mysticism.” The comprehensive investigation–like none other you will read–quickly escapes into realism by underscoring the numerous experiments and errors responsible for the debasement of scientific theories based on whim. Teachers and students will rejoice in the simplicity of earthly phenomena when entertained by the new discipline. “I am amazed at the breadth of the investigation – scientific history, biblical studies, geology, biology, geography, astronomy, chemistry, paleontology, and so forth – and find the style of writing to be quite lucid and aimed clearly at a general, lay audience.” ― Mark Roberts, former Editor of Biblical Reference Books, Thomas Nelson Publishers.